The 2017/18 season has featured tremendous success for FC Barcelona thus far under Ernesto Valverde. So much so, in fact, that they are closing in on a club record in the coach's first campaign in charge. The 0-0 draw against Getafe last weekend marked a 30th consecutive LaLiga matchday without defeat. 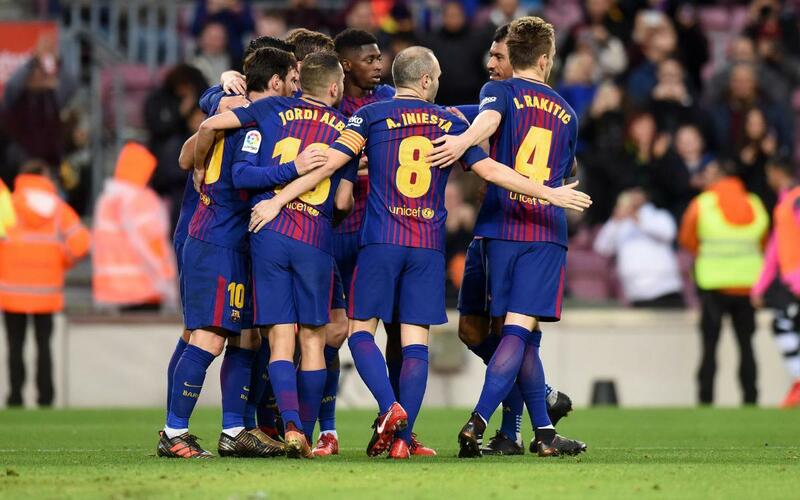 A win or a draw on Matchday 24, when Barça visit Ipurua to take on Eibar, would bring the team level with a club record for games unbeaten in succession. The record currently stands at 31 games, set under Pep Guardiola from Matchday 3 to Matchday 33 of the 2010/11 season. Valverde would share the honour with previous coach Luis Enrique, as the current run began on Matchday 32 of last season with a win against Real Sociedad and continued through the final seven games of 2016/17 into the present campaign. FC Barcelona's last defeat in LaLiga came against Malaga, when they lost 2-0 away from home on 8 April, 2017. Coincidentally, it is Real Sociedad who hold the all-time record for consecutive games unbeaten in LaLiga. The Basque side, under Alberto Ormaetxea, went 38 games without tasting defeat across the 1978/79 (6 games) and 1979/80 (32 games) seasons. At that time, LaLiga consisted of an 18-team, 34-match campaign. It should be remembered that this Barça side also racked up the second longest total run of games unbeaten in all competitions. The team went 29 games unbeaten, ending 10 off the record set by Luis Enrique's side in 2015/16.